Is your home in an area which is prone to flooding? If so, a top quality, powerful petrol water pump should be a necessary piece of kit in your shed. With rain a consistent feature of British weather, flooding cases have continued to rise and a petrol dirty water pump has become one of the most vital pieces of equipment you will need to tackle such problems. Each petrol driven water pump offers a quick and efficient way to clean up in the event that your home or garden floods. We also have a number of clean and dirty water pumps for sale that are best for draining garden ponds and pools – there are a wide range of options to suit every job. What brands and accessories are on offer at SGS Engineering? Each petrol powered water pump in our range comes from top manufacturers in the industry, including Honda and Hyundai. This means you can rest assured you’re purchasing a reliable petrol water pump, capable of many tasks. Whether you need one to clear out flood water from your garden or garage or to empty a pond, many can be used both internally and externally. Numerous accessories to make the job easier can also be purchased from our collection, including water pump hoses of differing lengths – and with different engine sizes, there are options available that can pump out anywhere from 100 to 1000L an hour. 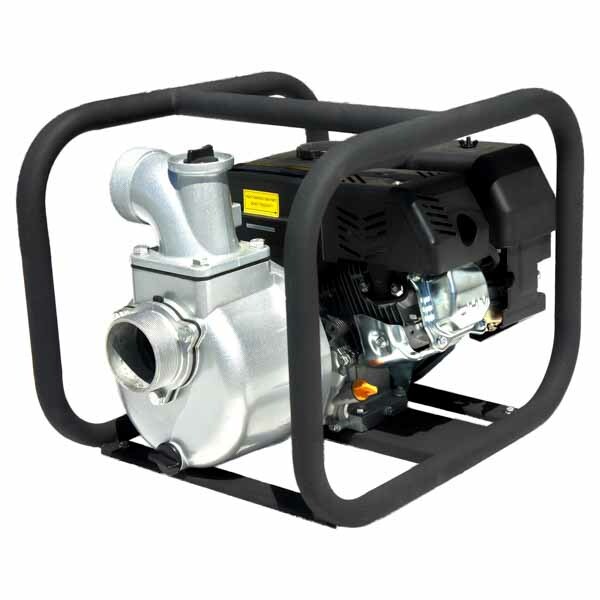 Shop our extensive range of petrol water pumps for sale today. Can I order a petrol powered water pump online? Yes, and at SGS we provide some of the best petrol water pumps UK homeowners will find. You can order your petrol dirty water pumps, each with a two-year warranty and 60-day hassle-free returns policy online today. When shopping for petrol water pumps or any kind of outdoor equipment, it can be difficult to know precisely which model suits the task you have in mind. At SGS, we are committed to ensuring that you have all the information you need to make a purchase and have prepared several how-to and buying guides to help you on your way.